MAKE IT 10! 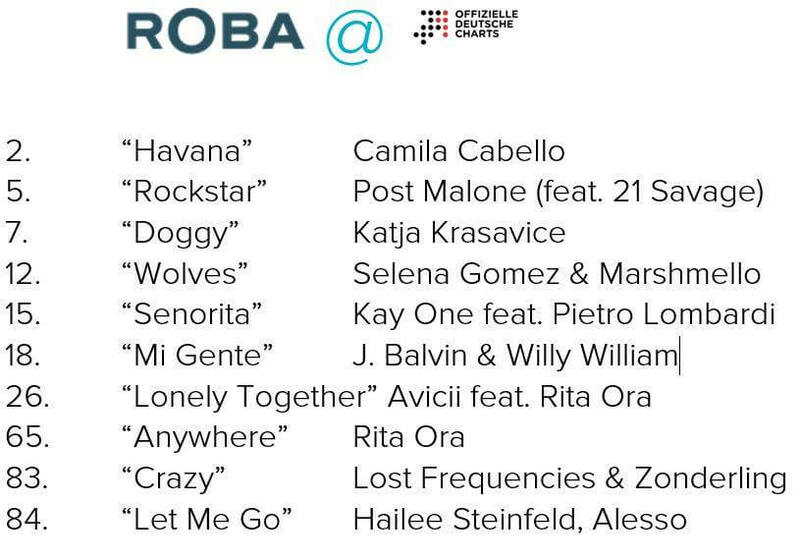 ROBA is holding 10 positions in the official German single charts. A big thank you to our partners STARD OVA, Reservoir Media, Cloud 9 Music and Scorpio Music !